The temple complex in the southeastern part of Beijing was build from 1406 to 1420 and extended in the 16th cent. The Taoist buildings are situated in a large park. 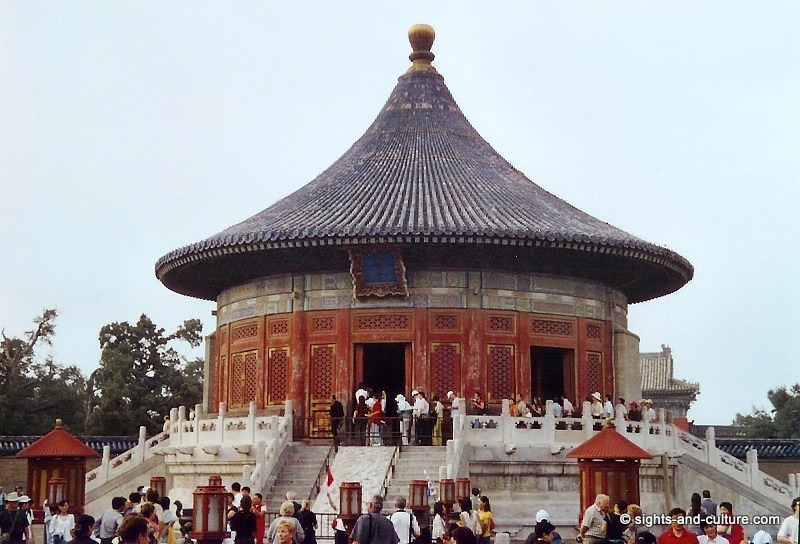 It was used by the Emperors of the Ming and Qing dynasties for annual ceremonies of prayers to Heaven for good harvest.